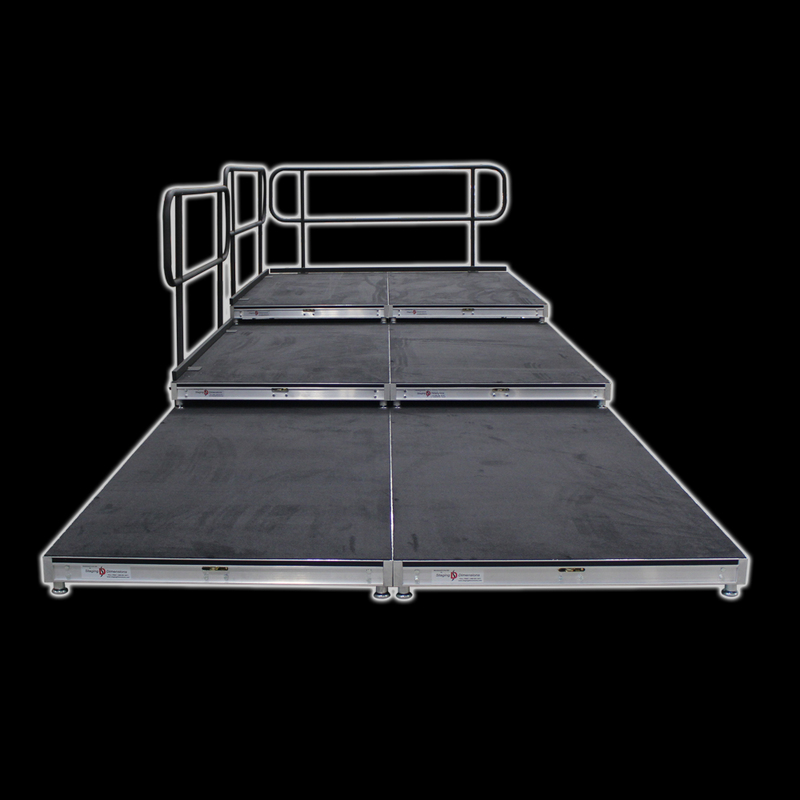 Standard closure panels are constructed using 1/4" black luan or milk plexi and secure to our stage decks via leg clamps and velcro. 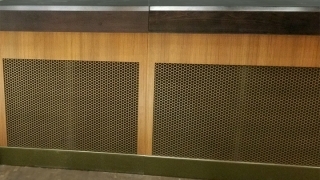 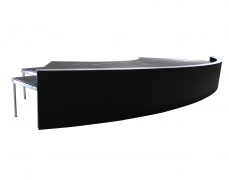 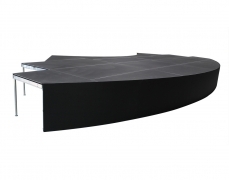 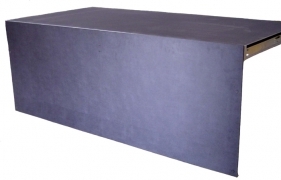 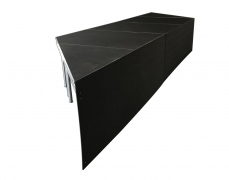 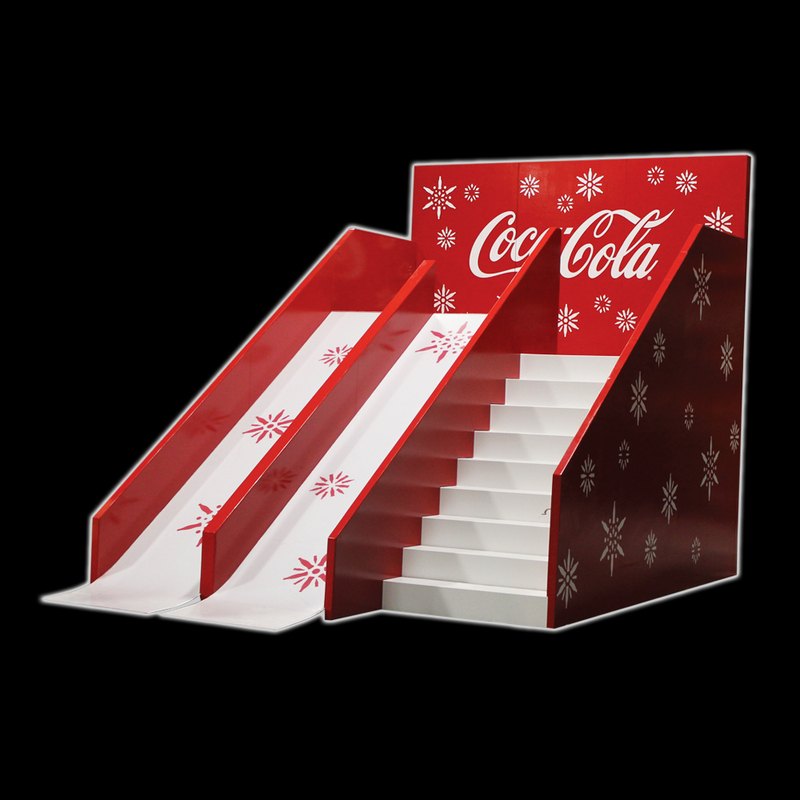 Closure panels can be used instead of stage skirting and provide a hard fascia to mask the front, back or sides of a stage. 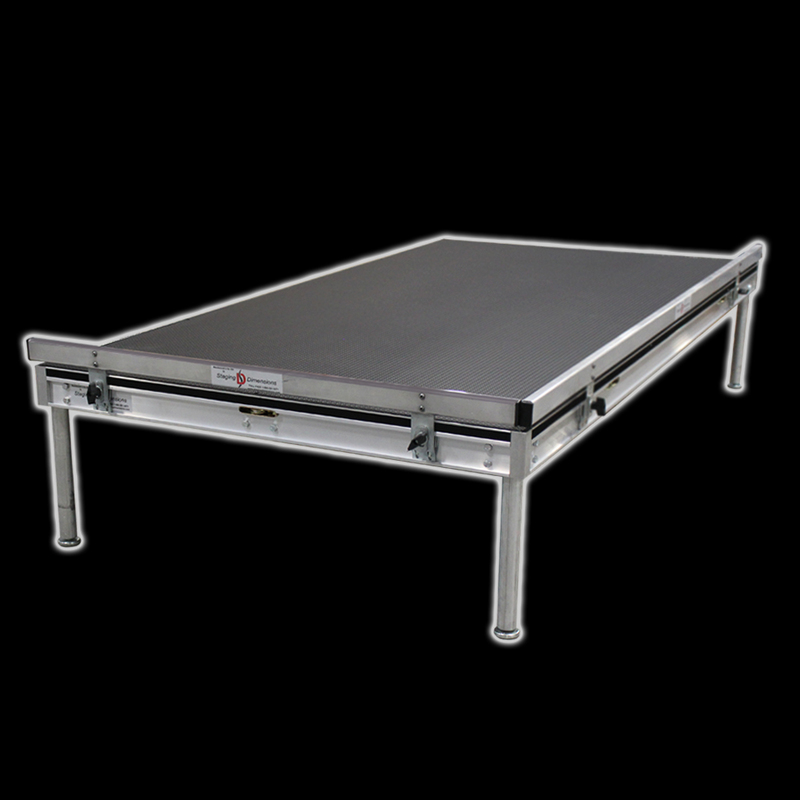 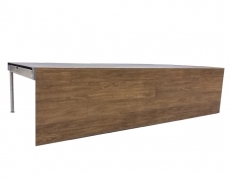 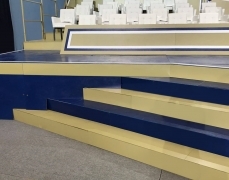 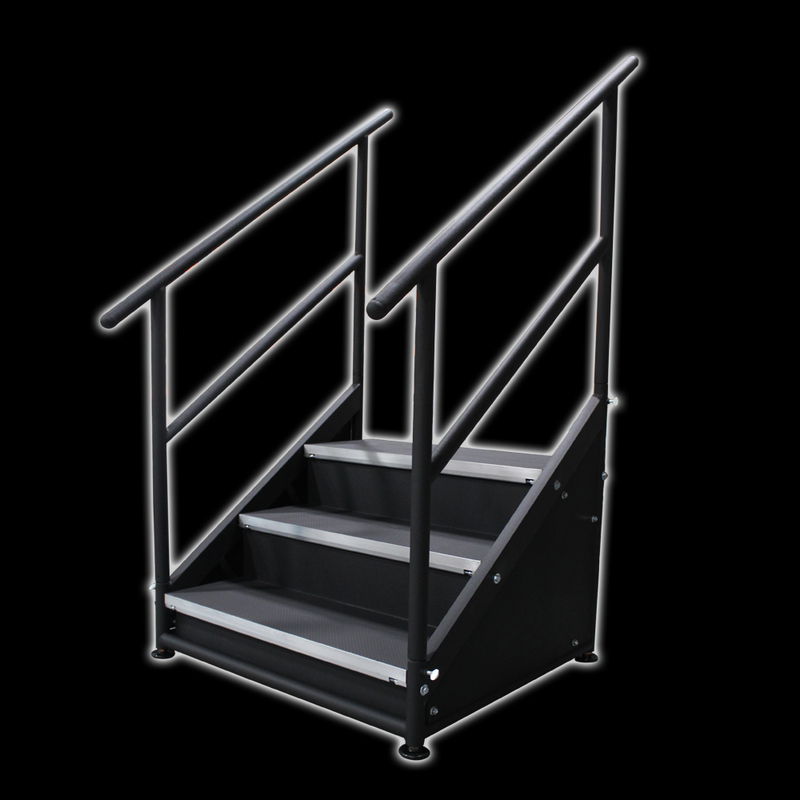 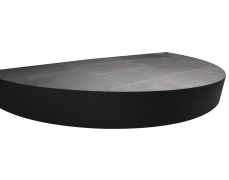 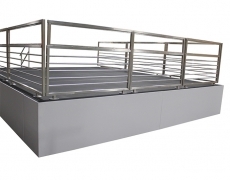 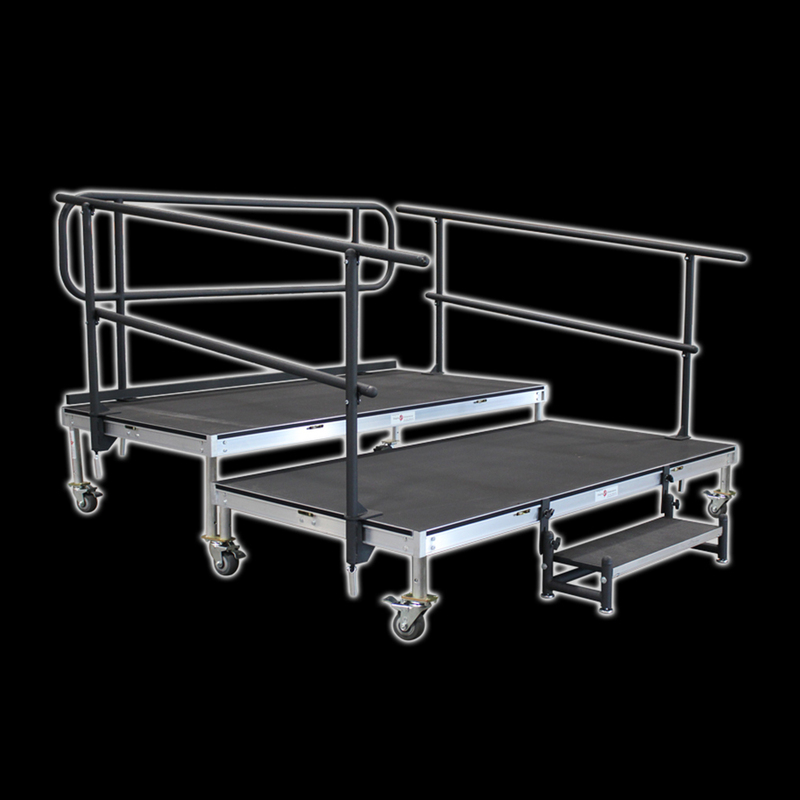 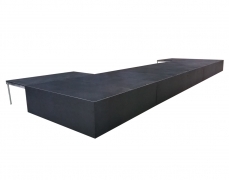 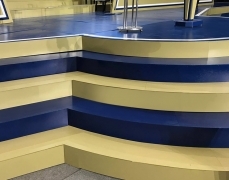 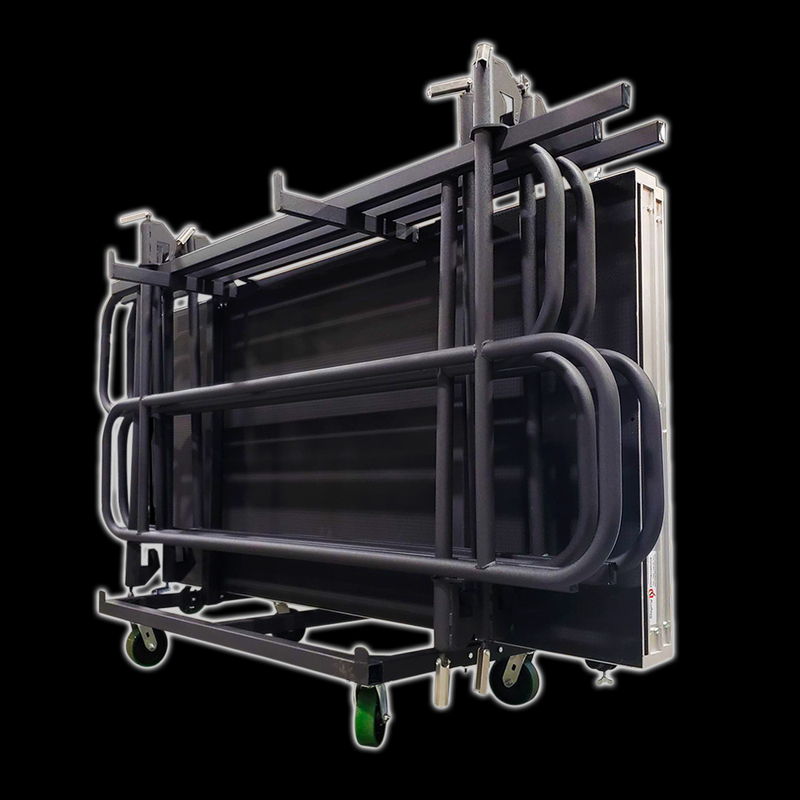 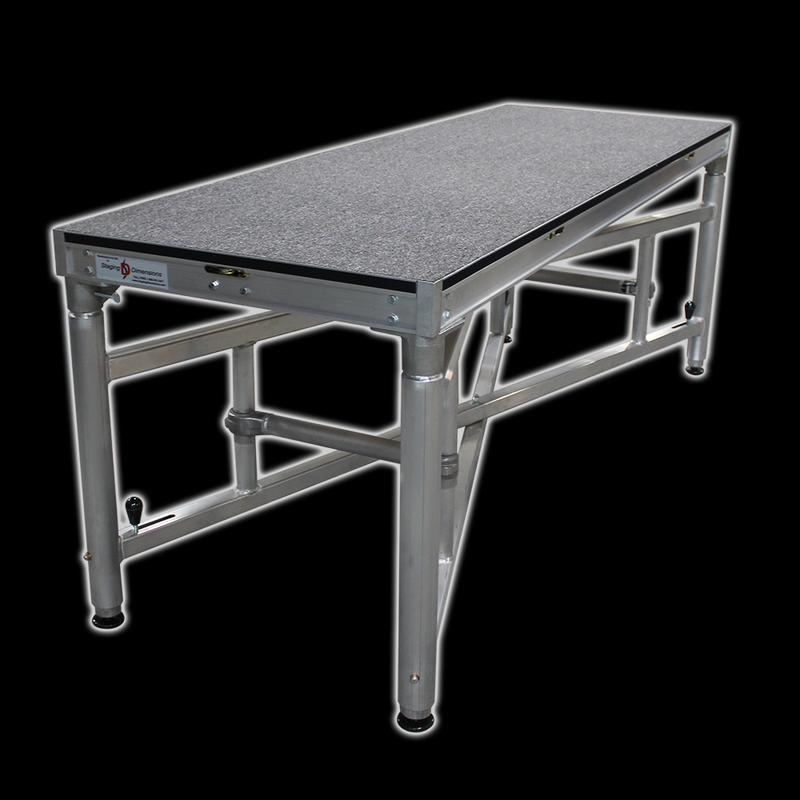 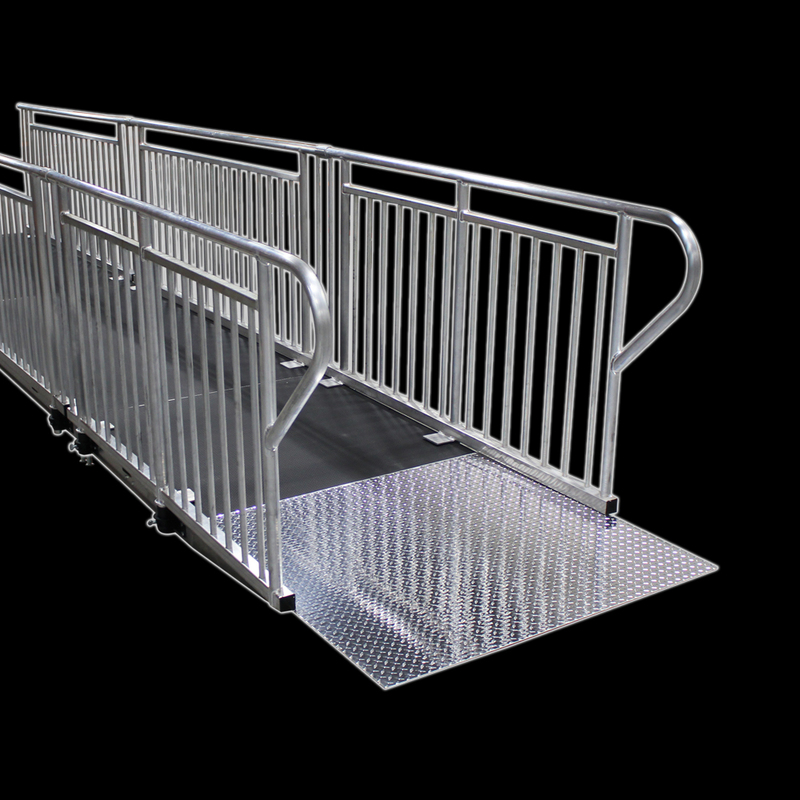 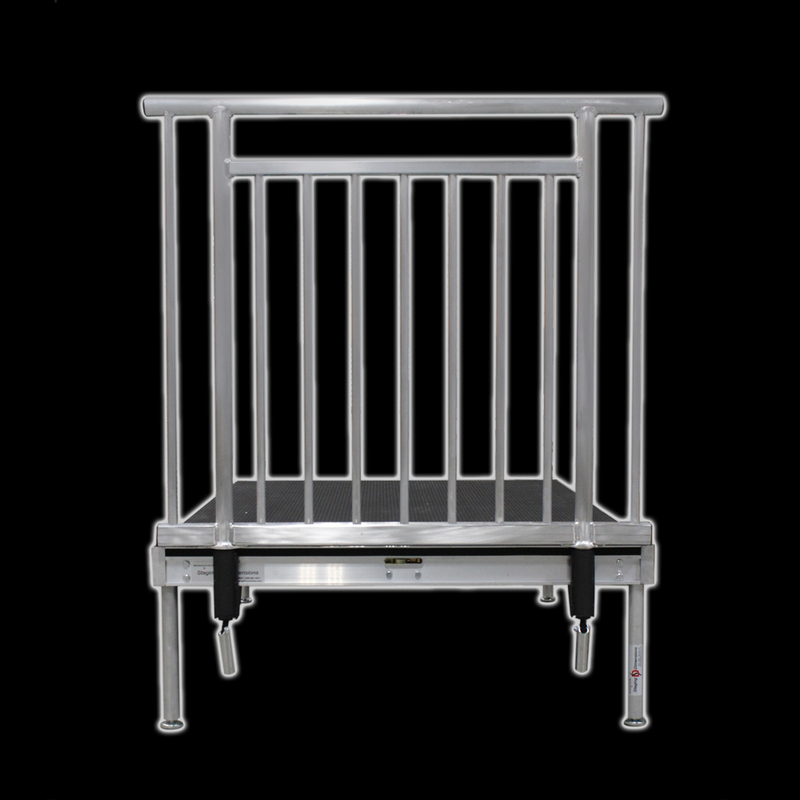 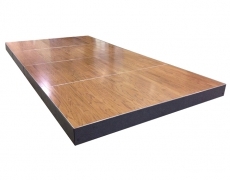 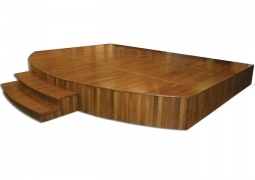 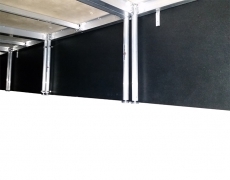 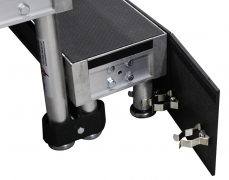 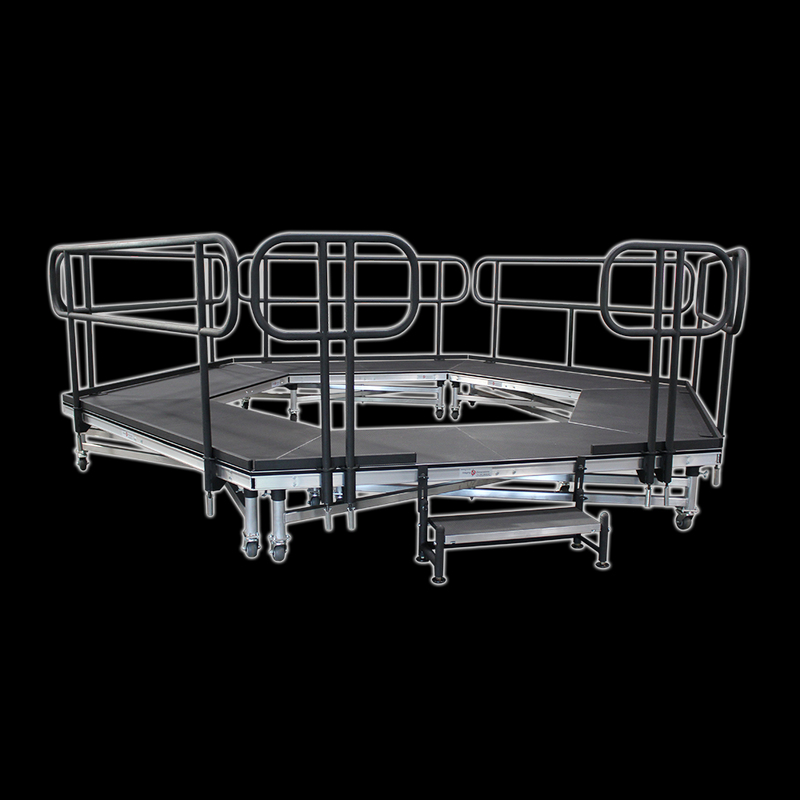 Closure panels are available in a variety of heights and lengths to accommodate our various stage decks and provide an added measure of safety when using them between tiers on multi-tier riser systems. 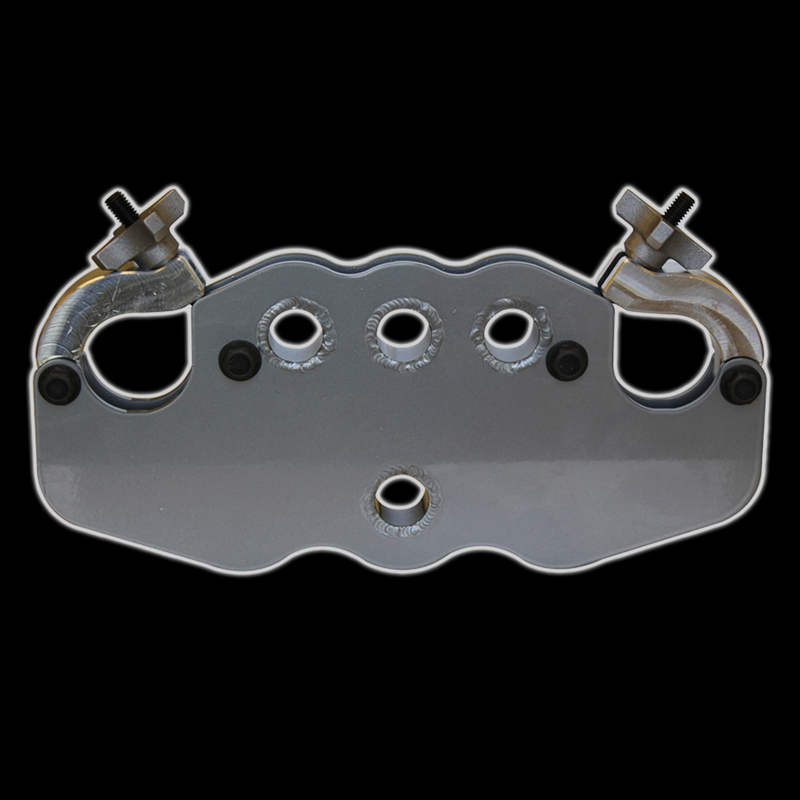 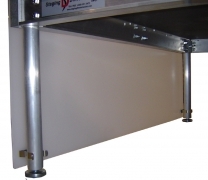 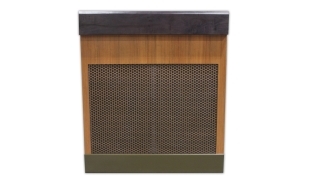 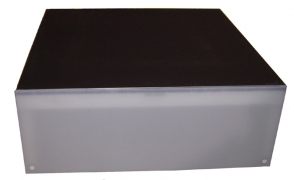 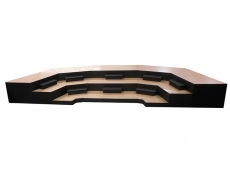 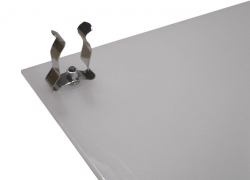 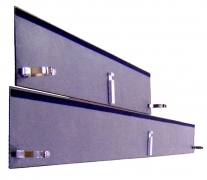 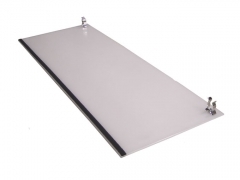 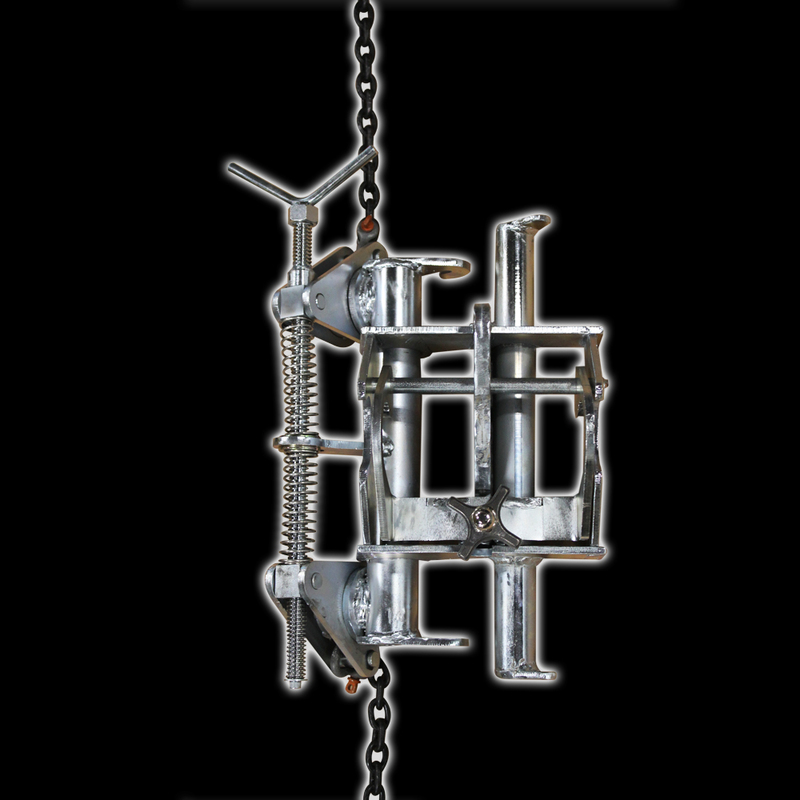 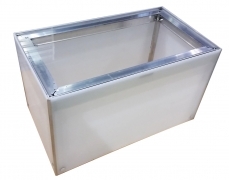 Closure panels can also be custom manufactured to meet your individual needs.